We are pleased to tell you that we have improved the way your portfolio data is displayed, making it easier for you to track performance. 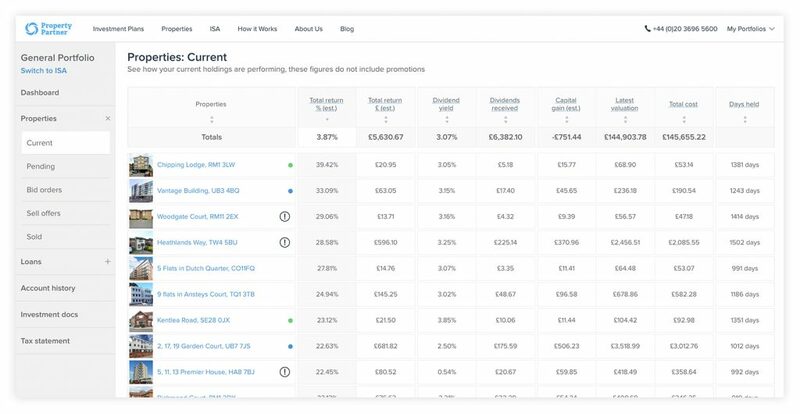 You can still view and download all of the same data as before, but now there are multiple tables that make it easier for you to compare and review your investments. 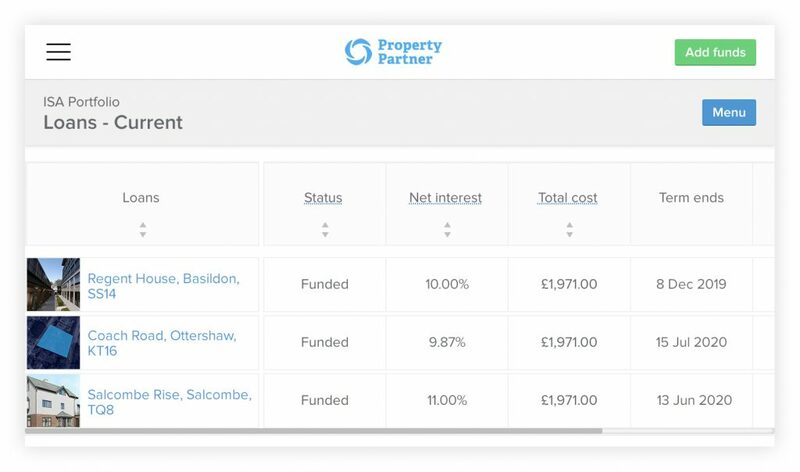 You can now view your current investments in a table, allowing you to compare key data points and sort according to your preference. 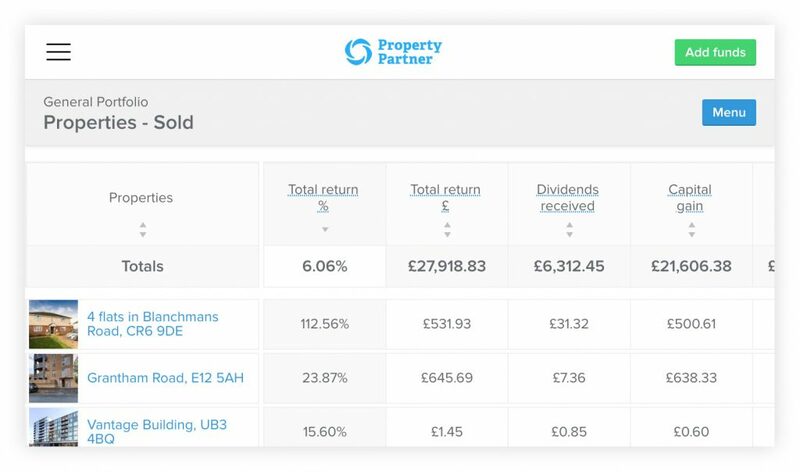 View the total return of your current investments, as well as your dividend yield, estimated capital gain and the number of days you have held shares in each property. Taking action on your portfolio is now much easier. 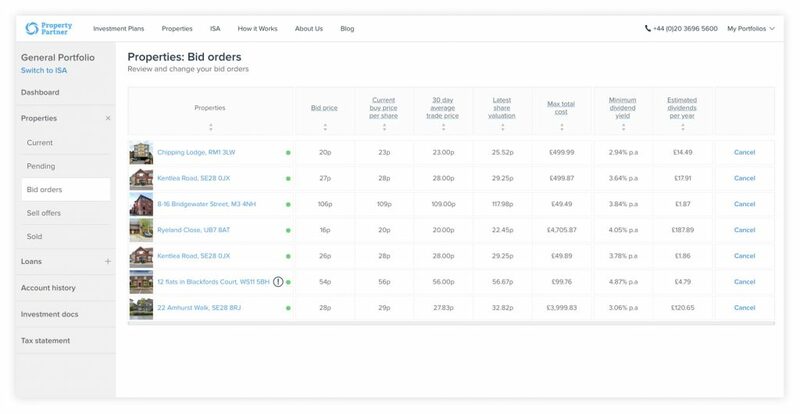 Both your bids and sell offers can be viewed in a table allowing you to easily review all your positions and compare the price you are trying to buy or sell at against what is happening on the Property Partner Resale Market. Sold investments can now be viewed in a table. 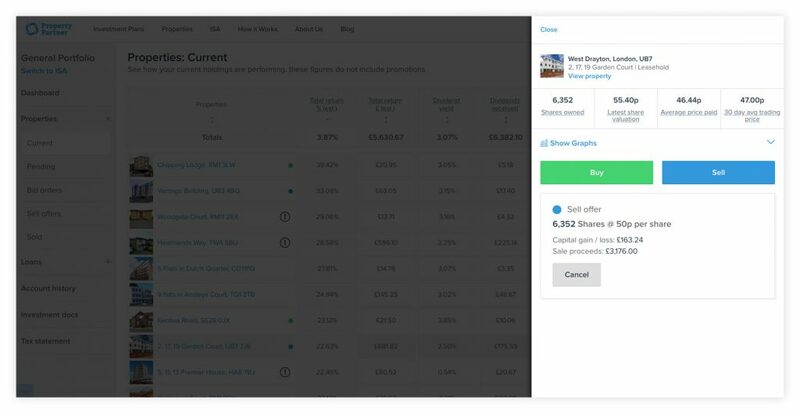 Easily review and compare your total returns, dividends received and capital gains. Previously, you had to navigate to each property to place new bid and sell offers. You can now do this all from the portfolio view. Click on a row in one of the tables and you will have the option to buy shares, place bids or make a sell offer right there. Loans now have a dedicated set of reports showing specific data points for debt investments. Those investors that have opened an ISA portfolio can also see their loan investments in their ISA in the same way as their General portfolio. Change was needed to help improve our product, but none of your data or investments have changed – we are just showing it to you in a better way. Use the menu on the left hand side for desktop, or at the top of the screen on mobile, to find all the views of your data. If you cannot find what you are looking for please do get in touch and we can help point you in the right direction.